Kamil has one of the most coveted titles, and accomplishes least understood jobs in the company. He is magically and naturally competent in the industry and can do whatever he wants. Being the only and main Cat of the company, he can spend most of his time doing whatever he decides he wants to spend his time on. Murat, a co-founder of Localex, has taken up several different positions and responsibilities in the company since its establishment. Formerly a Production and Quality Control Manager at the company until 2018, Murat gained experience in the sector before joining Localex by working as a language specialist at various prominent companies in the localization sector. Murat, who holds a diploma in Translation and Interpreting Studies (English), currently contributes to the steady growth and development of the company through the responsibilities he takes up as Finance Manager. Reporting to other team members regarding all trends that are critical to the financial performance of the company and determining profitability criteria for investment activities. Gökhan has been working in the language/translation industry for almost 9 years in various roles. After completing his undergraduate education in Translation Studies, he worked for various publishing houses as an editor, copy-editor and book translator. After 5 years in the publishing industry, he made a career change and began working as a project coordinator, operations manager, technology consultant and trainer for leading translation and localization companies in Turkey. He also lectures about the effects of technological developments on the practice of translation at various state and private universities, and is also one of the members of first Elia Engage Committee. Apart from overseeing the day-to-day production, Gökhan improves the company’s market position in order to achieve financial growth, defines long-term organizational strategic goals, builds key customer relationships, identifies business opportunities, negotiates and closes business deals. He is in the process of completing his M.A. in Translation Studies at Bogazici University with a thesis on the increasing importance of the new role of knowledge economy and its relationship with the transformations at the language/translation industry, especially after the recent advancements in technologies such as Internet, translation memory (TM) and machine translation (MT). He has also translated a number of fiction and non-fiction books into Turkish, including A Christmas Carol (Charles Dickens), Making the Future (Noam Chomsky), The New Annotated Sherlock Holmes, “His Last Bow”, (Sir Arthur Conan Doyle, ed. Leslie S. Klinge), Embrace the Night Eternal (Joss Ware) and City of Tranquil Lights (Bo Caldwell). After working with Localex for several years as a freelance translator and editor, Fatma joined Localex Team as an in-house Business Development Manager. Fatma has a broad experience in translation and localization industry and before joining Localex, she has worked as translator, editor, project coordinator and business development manager for leading language service providers in Turkey. As a Business Development Manager, Fatma is mostly concerned with improving and growing business by fostering and developing relationships with customers, suppliers and other partners. She builds key customer relationships, identifies business opportunities, negotiates and closes business deals. Fatma works with the marketing and sales department in order to increase the value of current customers while attracting new ones. Fatma holds a diploma in Translation Studies with an expertise in German. As an experienced linguist, she translates and edits from German into Turkish and her main fields of expertise are Marketing, e-Learning and Technical. Bekir Diri joined Localex as International Marketing Manager in 2017. Bekir has seven years of experience in translation and localization industry and has worked as technical translator, book translator, project manager, technology expert, web localization manager and translation technologies manager for several translation companies. Before joining Localex, he managed sales and marketing of an award winning cloud based translation management system and CAT tool at the Turkish market and managed web localization projects for one of the biggest language service providers in Turkey. His experience is enhanced by his Bachelor’s degree in Translation Studies and he is in the process of completing his MA degree in Translation Studies at Istanbul 29 Mayıs University with a thesis subject which covers game, software and web localization gaps in Turkish. As Marketing Manager, Bekir is responsible for the overall leadership of the Localex marketing activities; developing, implementing and executing strategic marketing plans for the company in order to attract potential customers and retain existing ones. As a localization and technology expert, he translates and edits from English into Turkish and is experienced with the localization and testing of Website, Software, Game, Mobile Apps and Multimedia materials. She is working in the operations department where she is responsible for directing, organizing, controlling and delivering projects; selecting and assigning translation teams; coordinating the production with translators, reviewers, quality managers and term experts, and performing quality checks on final documents to ensure they meet Localex quality standards. 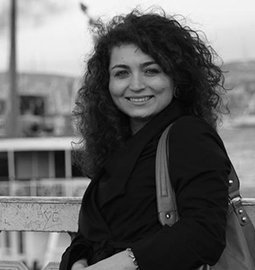 Cigdem graduated from Bogazici University Translation and Interpreting Studies and has worked in the translation industry as an independent language professional for more than 12 years. She first started working as a subtitle translator for IKSV (Istanbul Foundation of Culture and Arts) during her Bachelor’s Degree and translated various films for the Istanbul Film Festival from German and English into Turkish for many years. She then specialized in the subtitle translation field and translated the subtitles of various well-known TV shows and films for different companies as a part-time freelance translator. Having worked at different private companies in various roles after the completion of her studies, she decided that translation and freedom are her real passions in life and started working as a full time freelance translator, leaving her career path she started aside. She worked as a dedicated linguist, reviewer and quality evaluator for lots of global clients, and specialized in marketing, information technologies and technical translations, among others. Prior to her decision to switch to a freelance life and translate full time, she first completed her internships in various TV channels and supported the news departments and worked in different companies; Dunyagoz Hospital – as International Affairs Specialist, Zarakol PR Agency – as Account Executive and Avon Cosmetics – as Print Production Specialist in the Marketing Department. She then thought it would be a perfect outcome to combine her experience as a translator with her valuable versatile knowledge that she gained at various companies and decided to work as Project Manager for Localex. After working with Localex for three years as an exclusive translator, Alper has joined Operations Management Department as a project manager. Alper is working in the operations department where he is responsible for directing, organizing, controlling and delivering projects; selecting and assigning translation teams; coordinating the production with translators and proofreaders, and performing quality checks on final documents to ensure they meet Localex quality standards. Alper’s degree is from Trakya University where he majored in English and German translation and interpreting, and he is in the process of completing his MA degree in Translation Studies at Istanbul 29 Mayıs University with a thesis subject which is about creating a statistical machine translation engine for automotive texts. As an experienced linguist, he translates and edits from English and German into Turkish and his main fields of expertise are Automotive, Life Sciences, Marketing, e-Learning and Engineering. Hakan holds a diploma in Translation Studies with an expertise in English. As a localization expert, he translates and edits from English into Turkish and his main fields of expertise are IT, Marketing, Software and Engineering. During his career, he took part in the translation/localization projects of major software companies as an in-house and freelance language professional. Hakan’s main function at Localex is to ensure the efficient and timely production of translations. He is principally responsible for working with other team members to establish procedures, quality standards, style guides; ensure that translation and review processes comply with the standards at international level; record, analyze and deploy statistical information; monitor performances of linguists and determine training needs. ensure efficient collaboration and co-ordination between relevant departments including operations, business development and sales. Hüseyin is working at the Production Department where his main responsibility is to provide linguistic and technical leadership for the execution of projects for Localex’s clients. Before joining Localex, he worked as a lead linguist and project manager for global language service providers based in Turkey, translated various materials including IT, Marketing, Automotive, Technical and Engineering. Hüseyin applies his expert knowledge, strong problem-solving and communication skills and keen attention to detail to support the delivery of projects within the quality expectations, timelines, and budget. He also coordinates trainings of junior language professionals selected to join Localex Production Team, assists junior linguists with difficult translations and mentors them as required. Holding a diploma in German Language and Literature, Hüseyin has contributed to over a thousand translations, provided quality control and corrected translations done by junior linguists, prepared language analyses, guidelines and training materials requiring a high level of linguistic expertise leading to a higher level of accuracy and customer satisfaction. Vedat is also playing in a music band, and is an ambitious supporter of a peaceful, multicultural universe. After working with Localex for two years as a web developer and digital marketing consultant, Hülya joined Localex Sales and Marketing Team as an in-house Digital Marketing Manager. Hülya has a broad experience in digital marketing and social media management, and a big passion for digital technologies and various digital marketing channels. She is working with marketing, sales and business development departments to develop, implement, track and optimize our digital marketing campaigns across all digital channels. evaluating emerging digital technologies and providing perspective for adoption where appropriate. 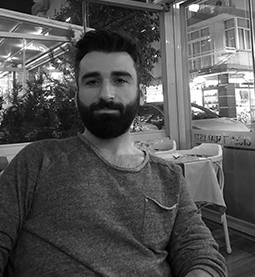 Gokhan Dogru is a predoctoral researcher in Autonomous University of Barcelona studying Turkish to English machine translation, and is a member of Tradumatica Research Group. He has been working as a Spanish-Turkish and English-Turkish freelance translator for more than 9 years. He has translated 8 literary and academic books into Turkish. He is particularly interested in translation technologies, localisation and machine translation.